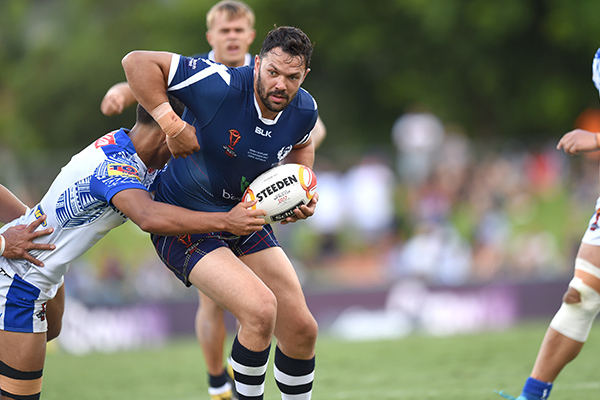 Scotland were well beaten in their opening game of the Four Nations by an outstanding opening period from Australia but fought back well to show that they are capable of pushing the best teams in the world. 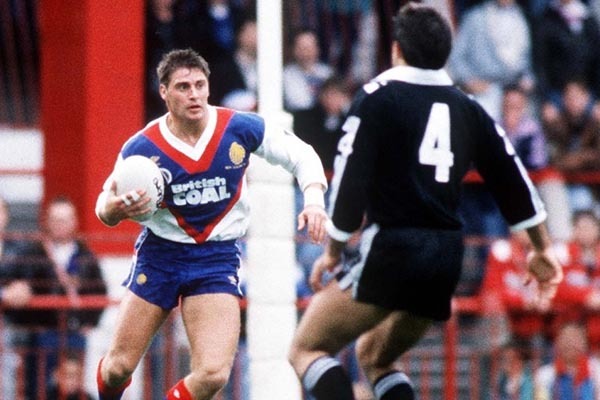 The only previous time Scotland have met Australia at senior level was twenty years ago at the Super League Nines in Fiji. 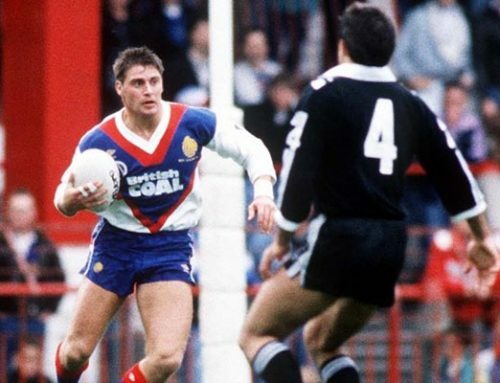 On that steamy occasion, a team of Aussie rugby league legends including Wendell Sailor, Steve Renouf, Ricky Stuart, Glenn Lazarus and Laurie Daley scored more than a point a minute in a short game, winning 26-6. The same was on the cards during a nightmare opening period for the class of 2016, Australia racking up four tries in the first 15 minutes. The Scotland side in 1996, coached by George Fairbairn who was at Hull KR for the rematch tonight, was a mix and match squad that featured future SRU cap George Graham, Great Britain international Billy McGinty and dual-code centre Darrall Shelford alongside the likes of Edinburgh Academicals union centre Chris Simmers and star-struck student winger Graeme Thompson, later to become an influential rugby league administrator. Tonight’s Scotland had NRL stars in Lachlan Coote, Kane Linnett and Luke Douglas, along with the nation’s best player of his generation, Danny Brough. 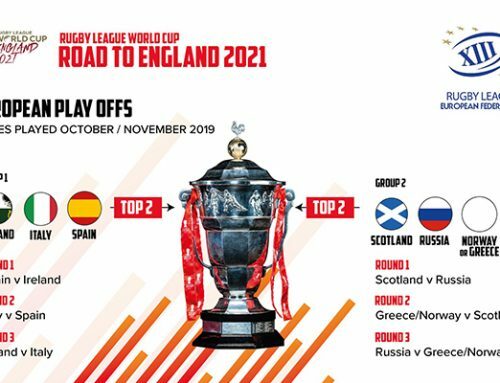 Scotland handed debuts to four starters – three of the backline in Coote, Lewis Tierney and Euan Aitken plus halfback Ryan Brierley – while Queensland-based forwards Sheldon Powe-Hobbs and Billy McConnachie made debuts from the bench. Nine of the 2013 World Cup quarter-finalists made the team, and five of those who earned a place here by winning the 2014 European Championship. Australia left out the likes of Johnathan Thurston and Greg Inglis but were imperious regardless. The Kangaroos took advantage when Brough dropped a high kick, moving the ball wide from the scrum and winger Blake Ferguson powering through Tierney and Aitken to score on the left. A second try soon followed thanks to a brilliant kick against the grain by Cameron Smith, snaffled by Cooper Cronk in acres of space at the open end. Great hands and two inside balls put James Maloney through two minutes later, Cronk racing clear after a break on Scotland’s right from the next set. When Maloney kicked the simple goal, it was 22-0 after just 16 minutes. Scotland had hardly touched the ball or made a tackle. 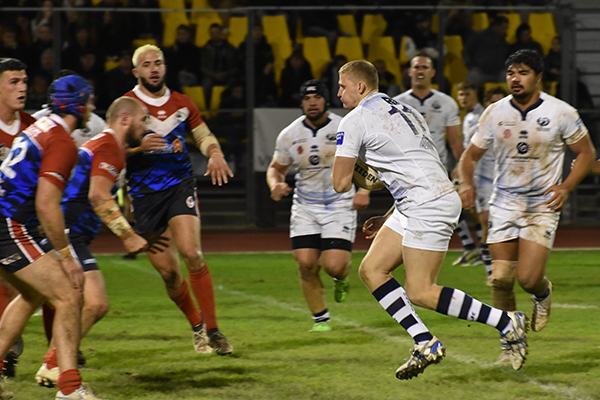 The home side were behind the underdogs, a big cheer going up when Liam Hood rattled Jake Trbojevic with a crunching tackle as Scotland finally got a foot in the game. But fine hands on the left put in Mansour again on 24 minutes, his first of two almost identical tries, the second from a fabulous burst by Maloney five minutes before the break as the Kangaroos targeted Scotland’s right wing. Scotland got reward for keeping trying to create, Brough’s grubber coming off the post padding for Ryan Brierley to touch down on his debut, to cheers of delight from the local crowd. While Scotland entered half-time up-beat, it only took three minutes for Josh Dugan to get the scoring going with a step and dummy past Matt Russell and Lachlan Coote. Scotland’s best passage came with scoots by Tierney, Brough and Russell that took them 60 yards downfield but Hellewell was overly optimistic by striving to score himself on the last tackle and was thwarted five metres short. 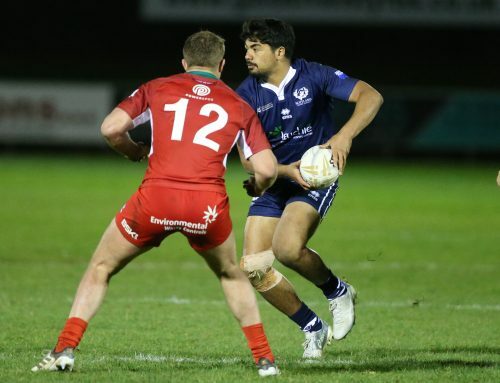 After an impressively-disciplined first half, Scotland gave away a string of penalties which were somehow not punished by the less clinical Kangaroos. Indeed, Brough intercepted a pass and sprinted half the length of the pitch, showing tremendous pace for a veteran, only to be caught by Cronk. Two plays later Walker’s cute short ball to Ben Kavanagh on a great line saw Scotland score again. Brough converted to make it a respectable 36-12. 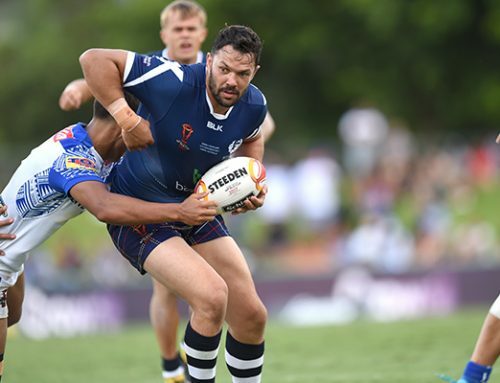 Ironically, Scotland lost leading NRL players Luke Douglas and Kane Linnett to injury during their best period of the game, the pair having proved a physical barrier to their familiar opponents. The crowd were livened up on the hour when former Wales international Tyson Frizell swung an arm at Tierney as he tried to wriggle away while juggling the ball, leading to a set-to. Frizell escaped with a talking to by referee Thaler and was soon blasting his way to Australia’s eighth try. 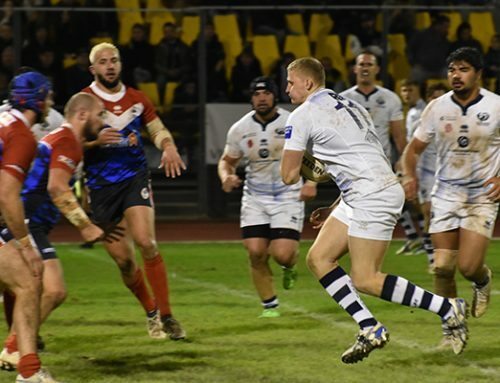 Michael Morgan finished off another smart move three minutes later as depleted Scotland suffered and Jake Trbojevic got a last minute try on his debut to break the 50 point barrier. 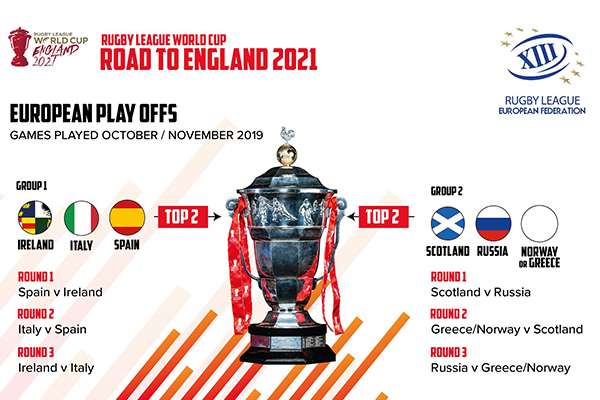 Scotland: 1 Lachlan Coote, 2 Lewis Tierney, 3 Euan Aitken, 4 Kane Linnett, 5 Matty Russell, 6 Danny Brough (c), 7 Ryan Brierley, 8 Adam Walker, 9 Liam Hood, 10 Luke Douglas, 11 Danny Addy, 12 Dale Ferguson, 13 Ben Kavanagh. Subs: 14 Ben Hellewell, 15, Sheldon Powe-Hobbs, 16 Sam Brooks, 17 Billy McConnachie. Australia: 1 Matt Moylan, 2 Josh Mansour, 3 Justin O’Neill, 4 Josh Dugan, 5 Blake Ferguson, 6 James Maloney, 7 Cooper Cronk, 8 Aaron Woods, 9 Cameron Smith (c), 10 David Klemmer, 11 Sam Thaiday, 12 Tyson Frizell, 13 Jake Trbojevic. Subs: 14 Jake Friend, 15 Shannon Boyd, 16 Trent Merrin, 17 Michael Morgan. Tries: Ferguson (5), Cronk (10, 15), Maloney (12), Mansour (24, 35), Dugan (43), Frizell (66), Morgan (69), Trbojevic (79).